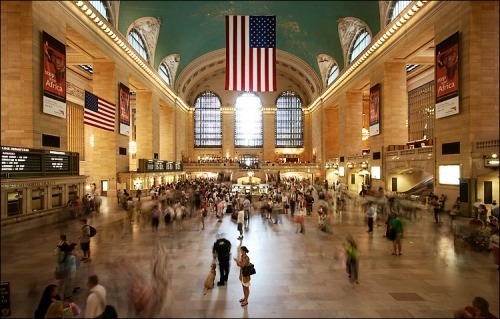 Apple has reportedly signed a ten year deal with the MTA to open what will be the world's largest Apple store in Grand Central Terminal, according to the NYPost. The lease still needs to be approved by the MTA's financial committee on Monday and the board of directors on Wednesday; however, it's expected that the deal will be approved. The 23,000-square-foot store will take up Grand Central's north and northeast balconies, displacing Charlie Palmer's Metrazur restaurant, according to MTA documents. Apple will initially pay rent of $800,000 a year, nearly half a million more than Metrazur paid. After 10 years, the rent will balloon to more than $1 million annually. The company will also pay to refurbish the space. The MTA estimates it will receive a minimum of $5 million in profits and says the deal "has the potential to bring a great new shopping destination to iconic Grand Central Terminal and significantly increase revenues for the MTA's transportation system."